We offer formal or informal internships for High School and University students. If your instructor requires a few hours of community service work, come on down and we will put you to work. Just stop at the front desk, fill out a volunteer form and schedule an orientation with the manager. If it is a more formal internship, please have your instructor contact the manager with the details or bring him your internship paperwork and he will assign you to a credentialed mentor who will supervise your program. We specialize in providing formal internships in counseling, case work and social work with degreed supervisors to assist you and chances to counsel and hold group sessions with our guests. We also have more formal programs available for retail clerks and sales, social media management, small business management and marketing, food service and gardening. We are always willing to work with you to fulfill your educational needs or help you develop new skills. Please give us a call if interested and we will discuss it further. 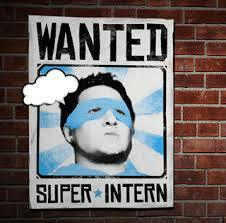 Share the post "Student Internships"